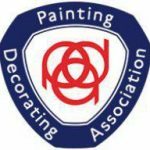 Dexterous group is a well-established business providing painting and decorating services as well as bespoke carpentry in London. we offer a clean, fast and high end service. As a result,Your project is carried out to the highest standards with complete professionalism. We provide our services at a reasonable prices with attention to your individual requirements using only top of the range equipment. Therefore, you can customise painting and decoration projects to your needs. "Very nice and friendly and also seemed very trustworthy. We had a list of 18 general maintenance jobs to do around the house ranging from snipping wires upto installing a projector screen in the ceiling and rewiring lights outside. All were done professionally and within the arranged timeframe.Would not hesitate to use them again when my next list of household jobs needs doing."